The Geometric Collection “Diamond Shades” is the explosive result of a gathering of creative minds – all with their individual history, background and approach to design. 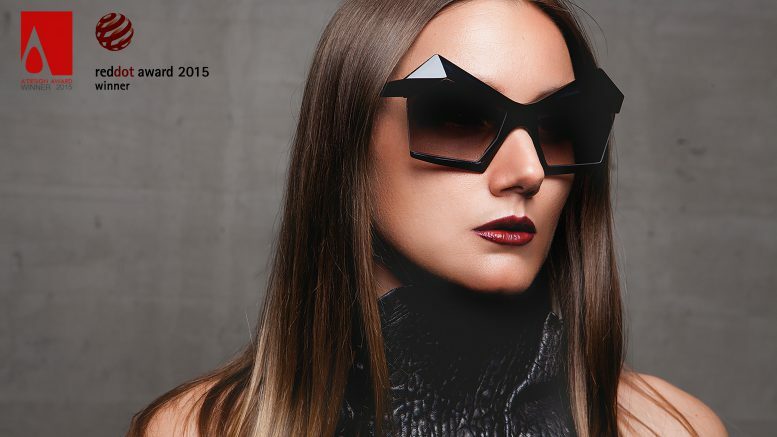 13&9, an internationally award winning design collective with core skills in the fields of product and fashion design, consisting of Martin Lesjak and Anastasia Su as well as Martin Lasnik, optician and eyewear designer. 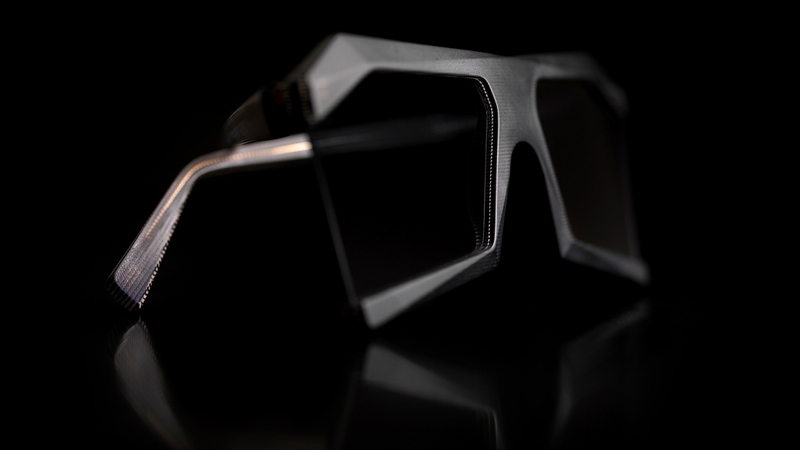 Robert La Roche, an established long-running eyewear brand with close ties to the art industry since its start in 1973. 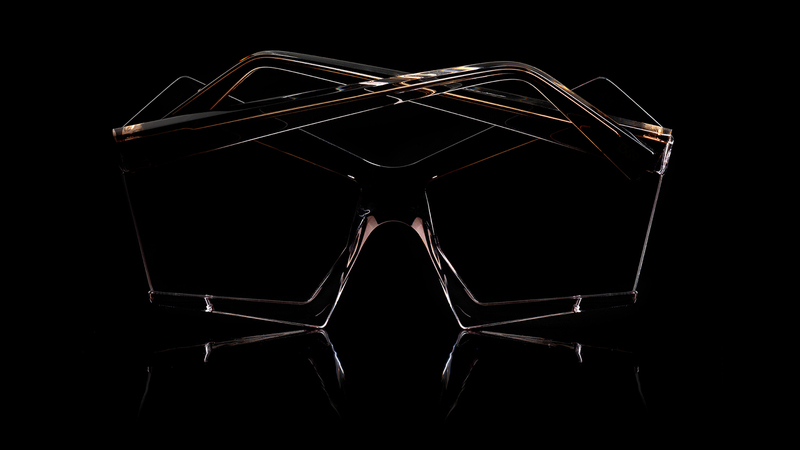 The opening release of the Geometric Collection is called “Diamond Shades” – a limited edition collection with distinct contours and facets, produced with high-end quality craftsmanship, made in Austria. 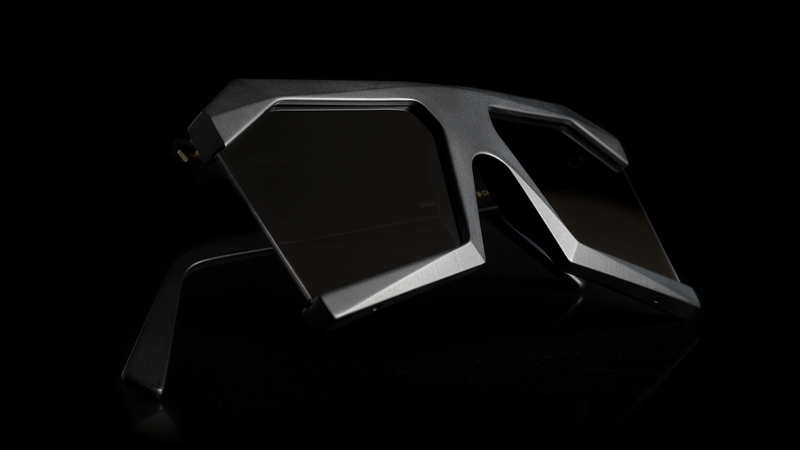 Diamond Shades recently won a Product Design Red Dot Award 2015 and the A’ Design Award 2015. 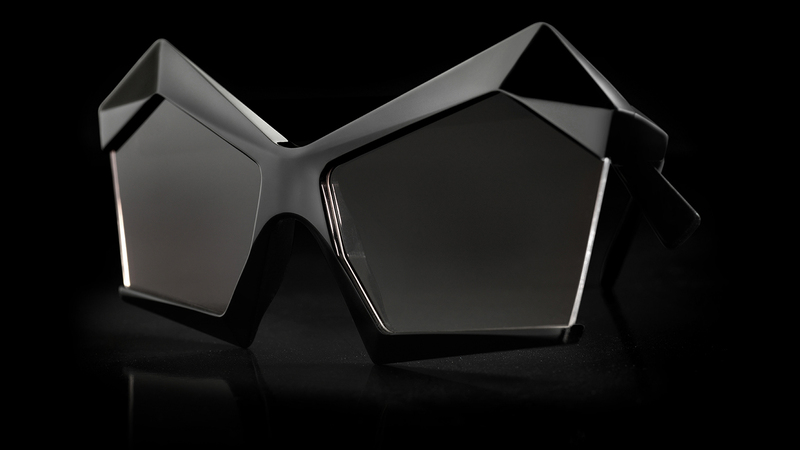 Beyond the mainstream, the Diamond Shades are constructed with geometric precision strictly using converging lines, creating symmetry and optimizing the relationship between angles and edges. Designed to individualize the wearer’s face, this collection demonstrates the synergy between a contemporary design concept and complex manufacturing. The work relies on the interplay between architecturally-inspired forms and fashion object and explores the contrasts between masculinity and femininity in the point of the shape and the surface. 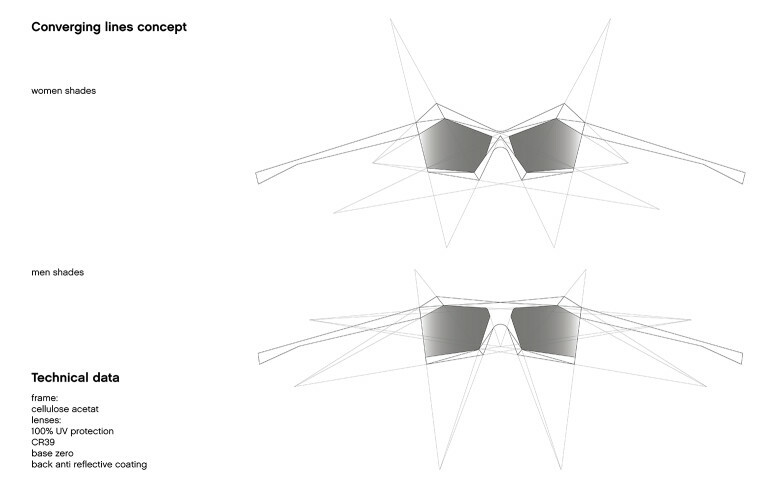 The eyewear is designed with CAD programs and then produced using modern CNC technology and handcraftsmanship. 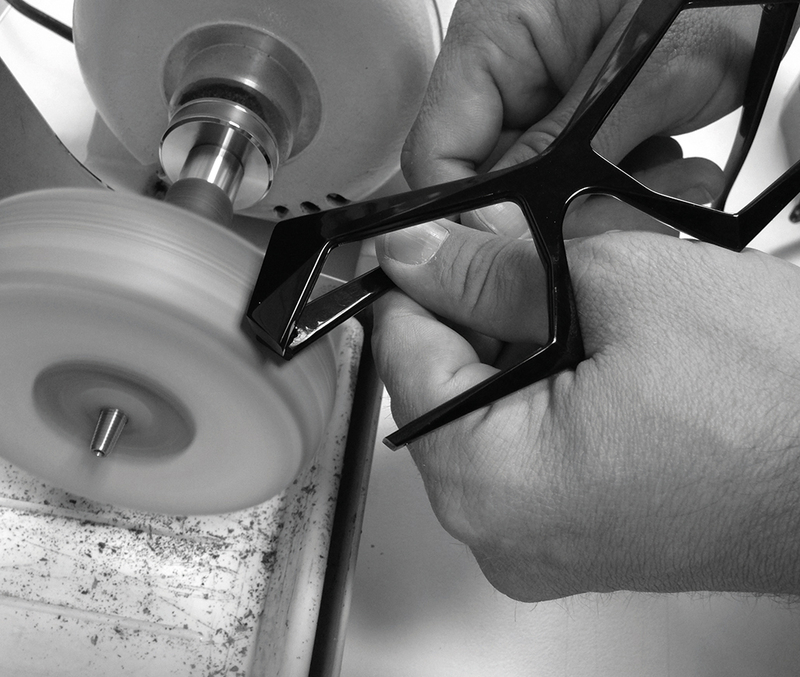 The cellulose acetate frames are first cut with a CNC machine and then undergo rough milling to create the contours and facets, followed by rough grinding to further define the frame. The final step, following sandblasting or grinding by hand, is carefully hand polishing the frames which creates the distinct matte finish for men and special high-gloss look for women. 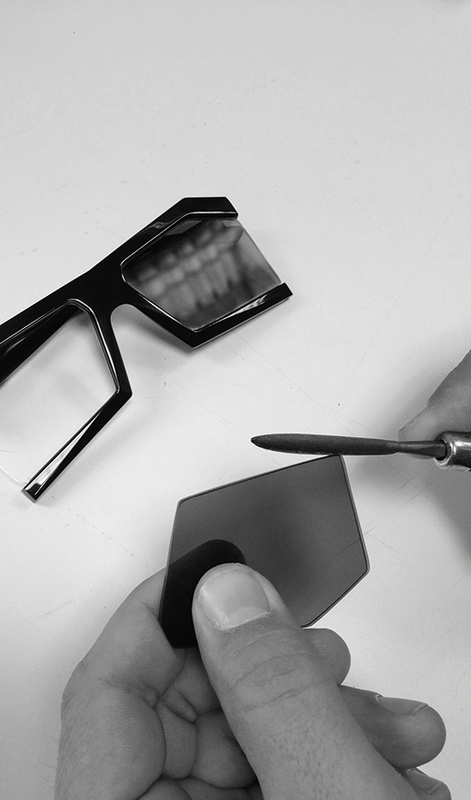 Custom made flat lenses are produced exclusively for this collection.